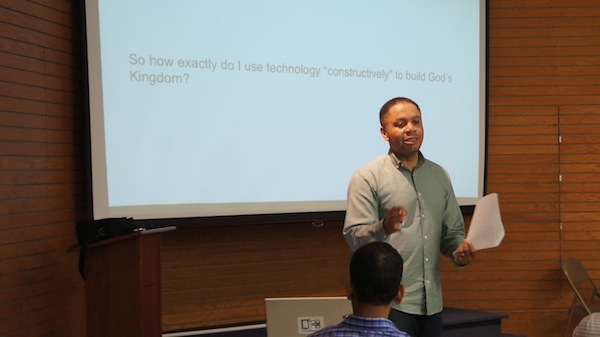 After weeks of discussing the challenges technology presents, we used our last class to explain how technology can be used to help build God’s Kingdom on Earth. After exploring the tools technology provides for helping us deal with self-centeredness, we walked through Paul’s model of discernment and applied it to technology. That, along with a great closing discussion, was a perfect way to end this class. I want to thank New York Covenant Church for allowing me to teach this first-of-its-kind bible study. I also want to thanks all of the people who attended the class for their enthusiastic participation. Mad that you missed it?